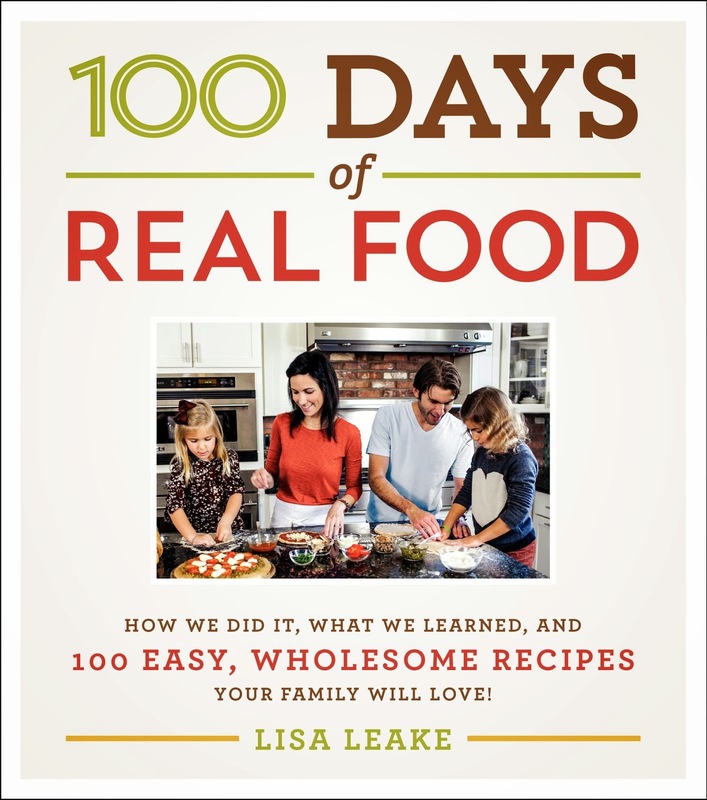 I was extremely happy to be chosen as a Cookbook Ambassador for Lisa Leake's 100 Days of Real Food. The timing couldn't have been better. My family has been trying to move away from processed foods over the past couple of months and I'd recently discovered Lisa's blog. Once I dug into 100 Days of Real Food I kept having light-bulb moments. I repeatedly called out to my husband about this section, or that: Did you know that the wheat bread we're eating is no healthier than white? Why aren't we using honey as a natural sweetener? Holy cats, the skim milk we've been drinking for years is less healthy than we thought because they have to replace the fat with something. (That something is powdered milk which contains oxidized cholesterol, blech.) Finally he grabbed the book from me and read it for himself. Every box, bag, and package at the grocery store screams out about how "healthy" its contents are. Every new article released about food contradicts the statements from the article that was released the day before. Confusing! Even though we'd made some changes in our eating habits I felt a bit stuck for ideas. Here is where 100 Days of Food really helped me. I'm less confused, that's for sure. I've found some fantastic recipes and ideas. What more could you ask for in a cookbook? Want to try a recipe? Here you go! Nom nom. The amount of information in this book is fantastic, but not overwhelming. 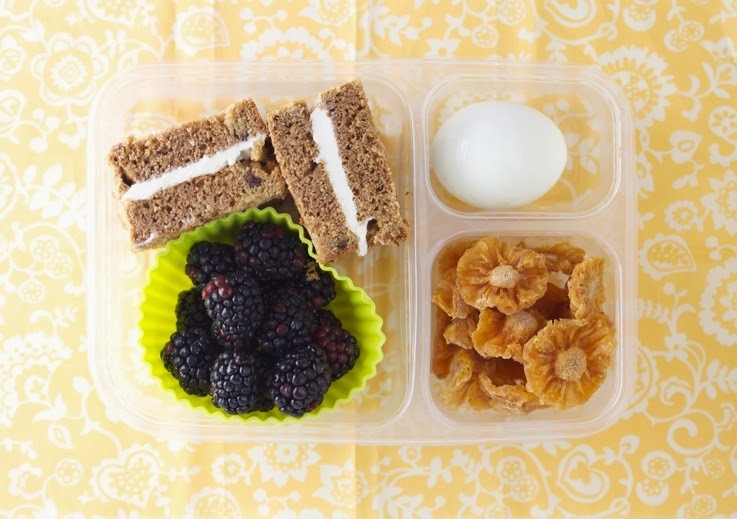 (Lunch box packing chart, hooray!) It's beautiful, well organized, and a great addition to my kitchen. I have a whole new appreciation for how important it is to fuel my body with healthy ingredients. The recipes are simple, the directions are clear and accompanied by beautiful photographs. The index makes it easy to find what you are looking for as well. 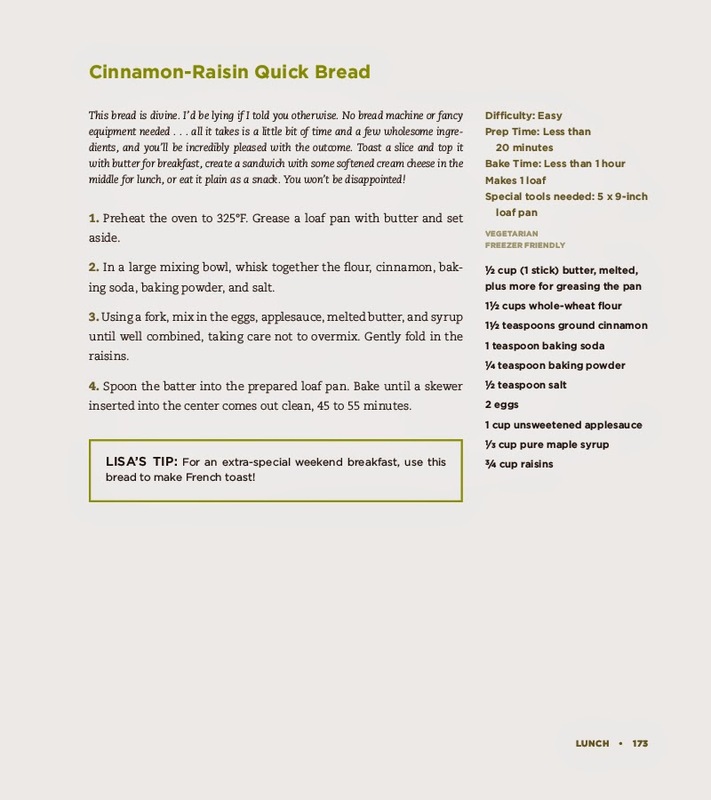 There's even a handy list of recipes organized by dietary need. I've prepared a couple of the recipes. The Whole Wheat Banana Pancakes on page 129 are incredible. The Homemade Chicken Nuggets on page 244 are delicious as well. Both of these recipes were a big hit with my family. They were tasty and healthy and I felt happy to serve them to the people I adore. I can't wait to try more! If you're interested in getting away from boxed and processed "foods" you'll want to pick up a copy of 100 Days of Real Food. I highly recommend it! Haha, you sound just like me with any non-fiction book I read, yelling at my husband! I like to cook, but definitely get caught cooking the same things over and over. This sounds like it could be something that would be a good read and good to have around the house. I love cookbooks and this definitely sounds like one that deserves a closer look!! I can honestly say I lost 50 pounds because of the 100 Days of Real Food blog. It was a huge light bulb moment. Sounds like a great book! I love to cook fresh, healthy meals. This sounds as awesome as I'd hoped!! I have been trying so hard to move away from processed foods, but with a preschooler in the house (and a PICKY one at that), it is sooooo hard. I've been looking into more cookbooks like this to help me out. I really hate cooking- were any of the recipes simple and bonehead proof? I mean, those nuggets and pancakes sound delicious. On a scale of 1-10 how likely am I to start a fire if I attempt them? I love to cook and have been maniacally checking labels for the last year and avoiding proceesed food. As a result, my hubby complains that I've taken the joy out of going out to eat, he would rather eat at home. Congrats on being a cookbook ambassador, I totally would have been all over this one too. Sounds fantastic, I am a cookbook collecting addict and this isn't helping, must get my hands on this! It seems like a very interesting book. I've also been trying to cut processed foods from my diet and sometimes it's not easy to decide what to eat with so much contraditory information being published everyday. This looks awesome. I do a lot of cooking....with lots of young adults and college kids I have to. I need to own stock in a grocery store. I've been hearing about this book and it sounds good. I haven't been cooking much over the summer. We've been mostly eating salads, but I hope to spend more time in the kitchen again when the weather changes.